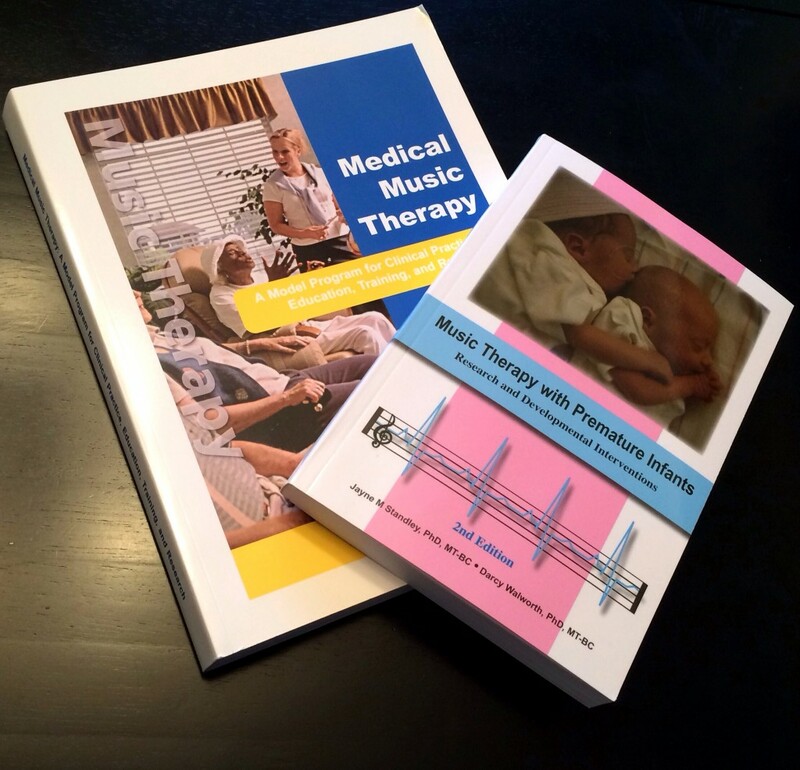 In all my years of studying and practicing music therapy, I never had any interest in medical music therapy. The idea of working in a hospital seemed pretty intimidating, and just not for me. Of course, that’s what I said about working with kids — originally I had my heart set on seniors with dementia — and look at me now. 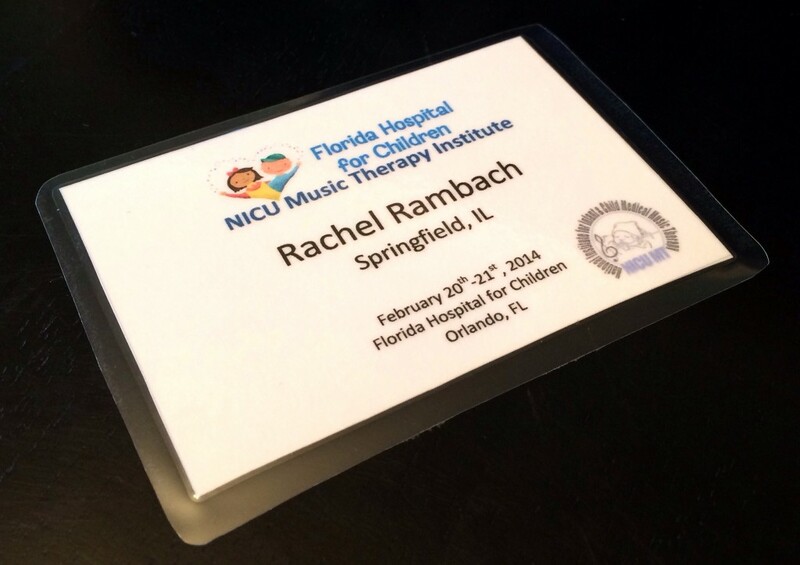 But over the summer during my maternity leave, I started thinking about going through training for music therapy in the NICU (neonatal intensive care unit). I’m not sure if it was the postpartum hormones or what, but the desire stuck with me and I registered for the lecture training at AMTA national conference in November. 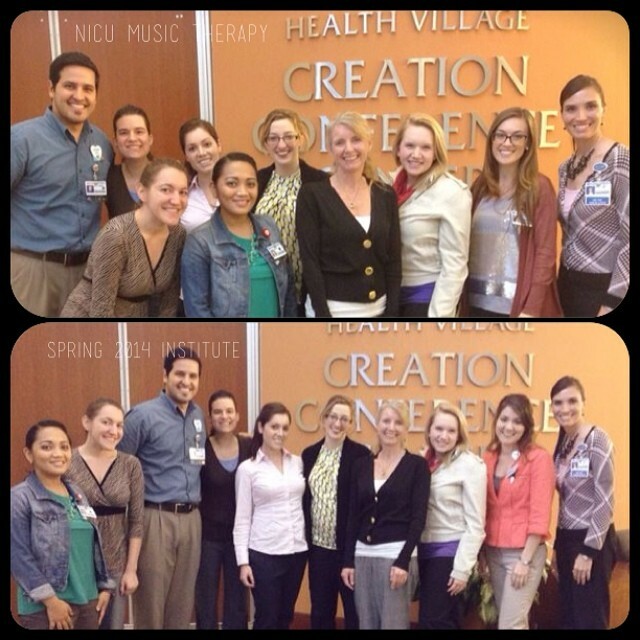 After spending my first day of conference attending the NICU lecture training, I knew I had made a good decision. The research, techniques, and outcomes were all fascinating, and I couldn’t wait to get some hands-on experience during the clinical fieldwork training component. This part was a big investment, both financially and time-wise. I had to get caught up on immunizations and have some bloodwork done in order just to register, and then complete quite a bit of paperwork as well as pay a fee. Once I was approved to attend the training, I booked my plane tickets to Orlando and reserved a hotel room across the street from Florida Hospital. 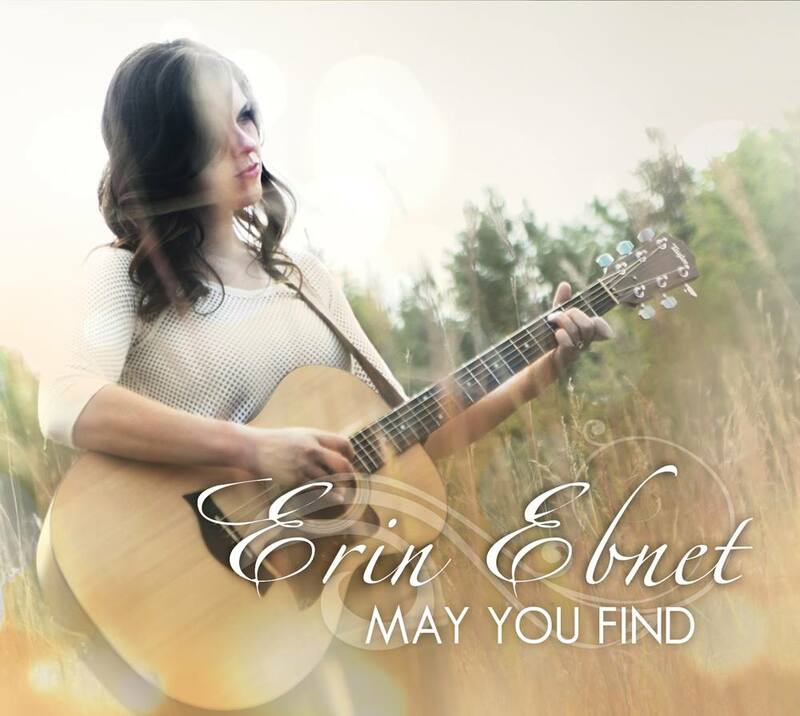 The hardest part was waiting until February! I happily escaped the arctic Midwest (with my baby and his favorite babysitter, aka my mom, in tow) this past week, though the only sun I soaked up was on the walks to and from the hospital. The training was facilitated by music therapists Brianna Negrete, from Florida State University, and Rich Abante Moats, from Florida Hospital. Antonio Milland, Amy Robertson, Dr. Jayne Standley, and Ellyn Hamm also provided training and tons of valuable information. The two full days consisted of classroom training as well as quite a bit of time in the NICU both observing and working with premature infants. 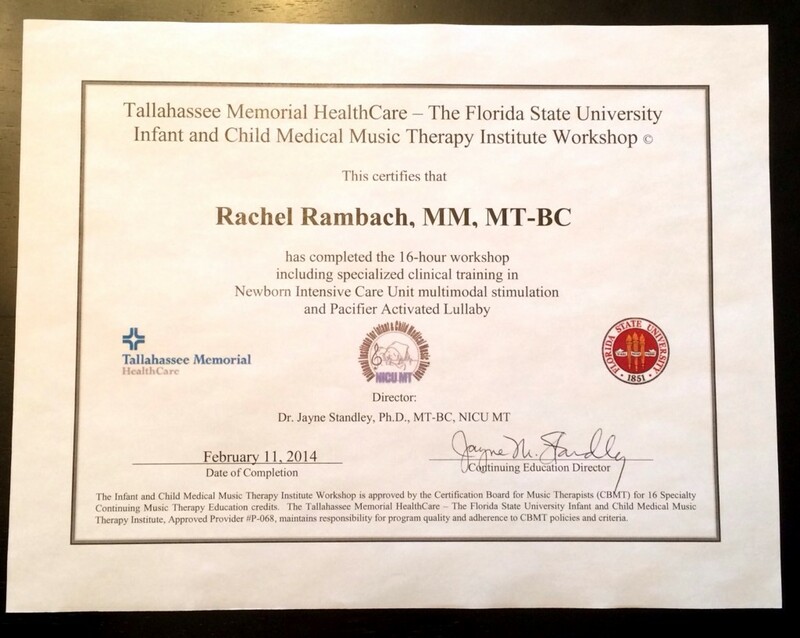 On the first day, we learned the procedure for multimodal stimulation (MMS), which helps babies tolerate and process different kinds of stimulation through singing, touch, rocking, and encouraging eye contact. Being in the NICU was definitely intimidating at first, but by the second day, I felt much more comfortable there. I had the opportunity to do MMS with two different babies, which was definitely the highlight of the entire experience. On the second day, we learned more about the PAL (pacifier-activated lullaby) device and got to see it in action. We also learned about relating to staff/parents/family, medical music therapy program proposals, reimbursement, procedural support, and became more familiar with all the research behind medical music therapy. It was an intense two days of learning and experiential training, but I honestly could have stayed for a week! There was so much to learn, and every single one of the trainers was so helpful in making sure we fully understood everything and guiding us through the music therapy techniques. I would love to have the opportunity to work in the NICU eventually. It’s a different world from what I’ve been doing for the last 7 years since becoming board-certified, but it will be a wonderful challenge professionally, not to mention very rewarding. That was definitely the highlight of our week, because otherwise it hasn’t been very exciting. I’ve been fighting a bad cold for almost two weeks now, so between that and the terrible weather, February got off to a rough start. Taking sick day selfies is a good way to pass the time when we’re stuck inside! Words can’t even begin to describe how ready I am for spring: for health, warmer weather, sunshine, the chance to go outside. I’ve had it with this winter. Luckily Parker is in good spirits despite his stuffy nose and cabin fever. He doesn’t seem to mind the daily rotation between his crib, my arms, high chair, various baby apparatuses, and the floor for playtime. As long as I’m giving him my undivided attention 90% of the time, that is. This baby cracks me up! He is so inquisitive about everything and is already quite the little explorer. He is pulling up on everything and has no fear, which of course completely freaks me out. I have a feeling this is just the tip of the iceberg. Parker is officially crawling. The first time it happened was Wednesday afternoon; my mom and I were watching him play on the rug when suddenly he took off. I tried to capture it on video then, but was too slow and then I had to go to work. I took this video the next morning, and he’s been on the move ever since. So far crawling hasn’t been a huge adjustment for me, since I’m used to Parker moving all over the place by scooting or rolling. But he’s getting faster, and doesn’t seem to want to stay on his playmat where all of his toys are anymore. The days of getting some work done while he plays independently for a half hour at a time are coming to an end, which is a little bit of a bummer. The good news is that since Parker is sleeping much better, I can stay up late to work and not be quite as tired in the morning. I’ll take what I can get! We kicked off the week with a quick day trip to St. Louis, where we celebrated cousin Ellie’s 1st birthday. Parker took his second ever dip in the pool — the theme of the party was “Polar Plunge” though the temperature inside was nice and warm — and then he had fun playing with the rest of his cousins. Monday and Tuesday brought more arctic weather, so that meant more hibernating in the house for us. We finally got out on Wednesday to visit with the other moms and babies at the St. John’s group. Parker got quite friendly with Paisley, one of the other babies who has been coming almost as long as we have. They were so cute, smiling and talking to each other. I love watching him interact with other babies! This week I introduced oatmeal, which I wasn’t planning on doing in the beginning. But since Parker wasn’t liking any of the other solids I tried, I figured the oatmeal was worth a shot. Lo and behold, he has done pretty well with it! He still turns away from every spoonful I offer, but eventually will take a bite. He ended up eating a few tablespoons, which is more than he’s eaten of any other food. Progress! As I type this blog post, we are in the middle of yet another winter storm…so I guess we’ll be doing more hibernating over the next few days. At least Parker has some friends here to keep him company.